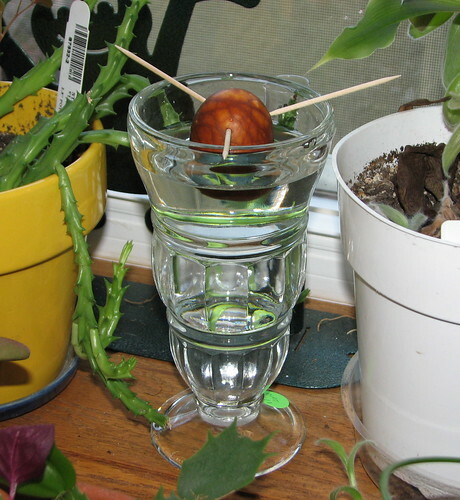 The January/February 2010 edition of Chicagoland Gardening Magazine has an article about how to grow an avocado (Persea americana, Lauraceae) from seed. I know a lot of people have done this but I don't think I ever even saw an avocado when I was a kid, and now we don't like avocados so we don't keep them around. However, I have been known to grow things I don't like to eat, including strawberries, hops, and green beans. Sometimes TMCH eats the results, and sometimes I just like the plant. I tried to grow a mango last year, but instead I grew a nice crop of mold. The avocado will go better, I just know it! 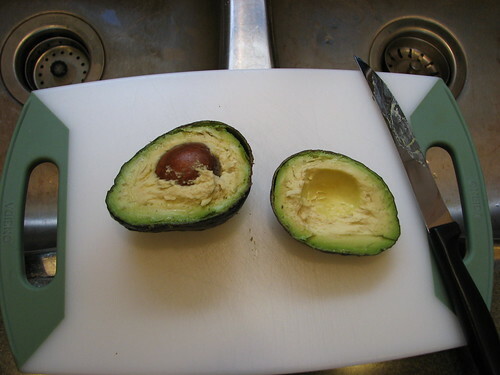 The first step: wait for the avocado to ripen. 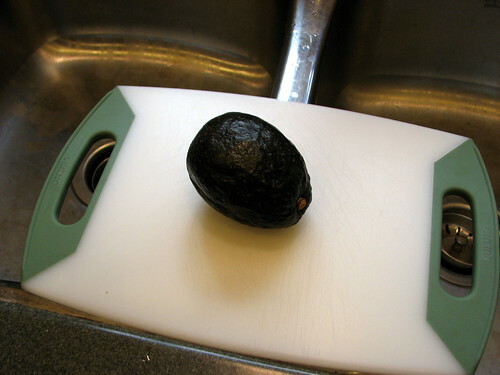 I am using a Hass avocado, and today it was black and soft, definitely ripe. I cut through the rind and the two halves fell apart easily. The avocado fruit is a berry. 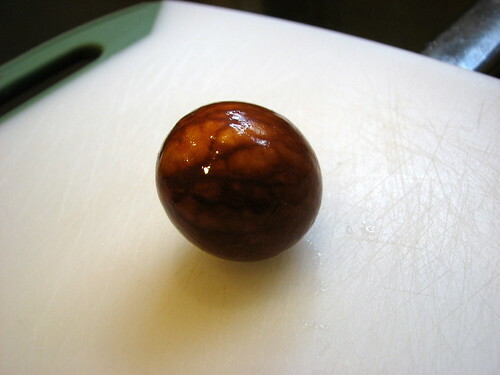 I scooped the seed out from the pericarp with a spoon and washed it with water and a sponge to get all the icky off it. The surface of the seed is beautiful, like marled wood. It's about 1 1/2 inches long and slightly egg-shaped. 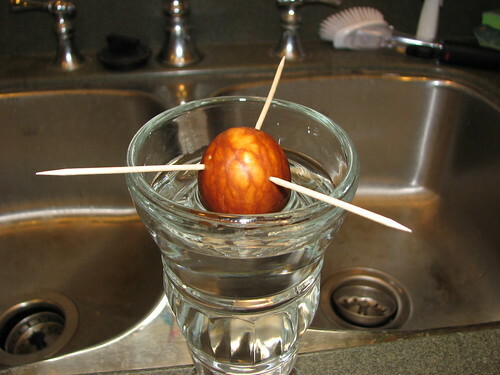 I then poked three toothpicks into the soft surface of the seed, about 1/3 of the way from the top, the top being very slightly more pointy than the bottom, and suspended the seed over a glass. I filled the glass so the water is 1/3 of the way up the bottom of the seed, and wrote the date on the glass. I put the glass in a south-facing window. It needs 6 hours of daylight a day. 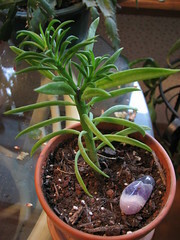 If it doesn't sprout roots in 6 weeks I will have to start over, but hopefully something interesting will happen soon! The snow melted over the weekend and I went into the garden to peer hopefully at places where bulbs might be. No joy yet, and today it's cold and snowy again. 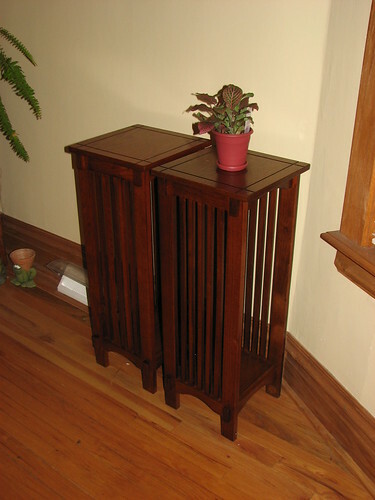 Luckily the indoor garden is purring along nicely. I don't use grow lights so winter growth rates are slow, but I have African violets and crown-of-thorns and two species of Aeschynanthus in bloom. 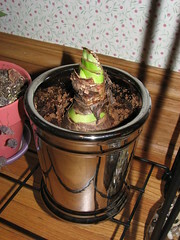 My pre-Christmas amaryllis is finally starting to sprout. I seriously overwatered it during the Bt fungus gnat treatments so I hope it's okay. It's a Smith + Hawken from Target; I didn't really want another amaryllis, but I could not pass up that cool metallic pot. 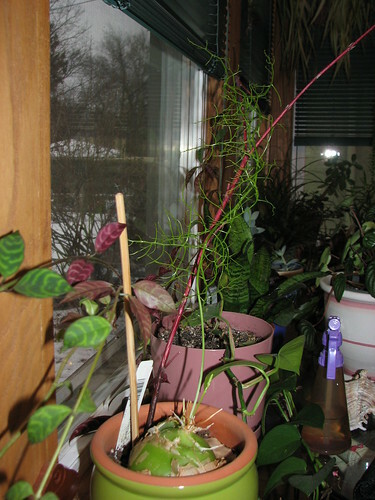 Bowie, my so-cool Bowiea volubilis, is once again on its January trek towards the ceiling. The first vine emerged around Christmas Day. Then I...broke it. Oops. 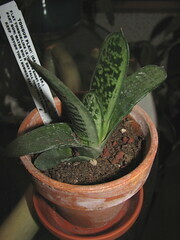 Luckily, a second shoot emerged on Jan. 18, and I promise not to touch it. 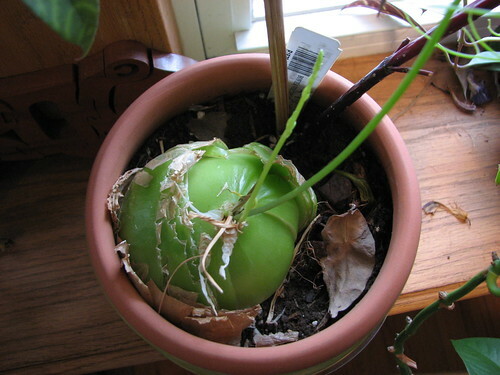 I love this plant and am excited to see that the bulb is finally getting fat and interesting. I will have to repot it this spring into a wider, shallow pot, and give it a support less pathetic than that bit of dogwood stick. 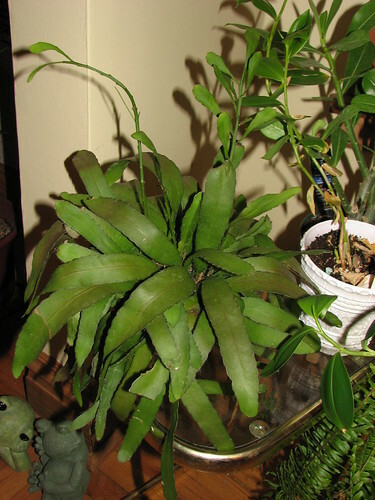 Pseudorhipsalis ramulosa, not doing anything interesting, really; I just wanted to show a picture of it. I am developing a deep affection for the leafy-looking cacti.